Liber decretorum, sive Panormia (Ed: Sebastian Brant). Ivo, Saint, Bishop of Chartres, ca. 1040-1116. [Basel] : Michael Furter, 6 & 7 Mar. 1499. Purchased on the Gordon N. Ray Fund, 1988-9. ISTC note: PML (Ramey dep.). 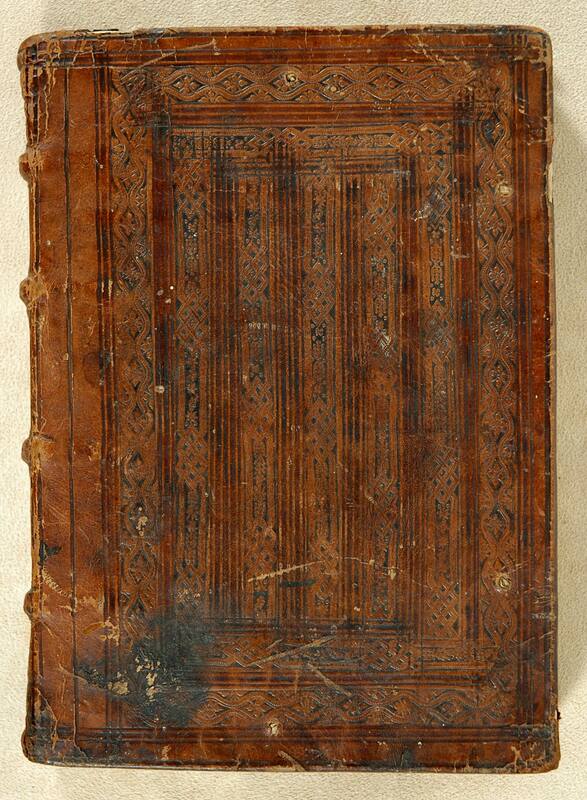 Contemporary goatskin over paperboards, blind tooled, with manuscript on spine; printed waste; evidence of four pairs of edge ties. Bound in France, according to Husby. "S. D. Cailleau Can[?] Carnosi" inscription on title page. From the library of the Ramey family (16th-cent. France).